Uh, YES… Sign me up!!! As typical first time Whistler-goers, my girlfriend Amy and I had no idea how to get on this gondola! 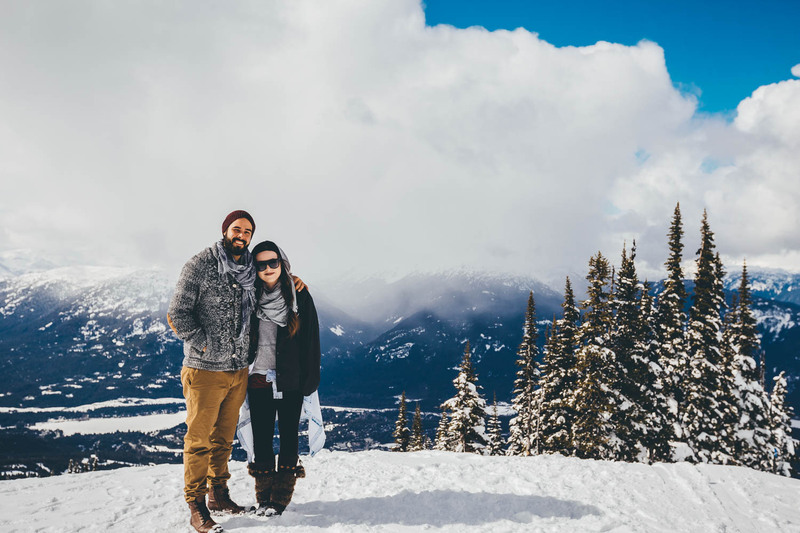 We wandered around the Whistler village, pretending we knew where we were going, although I’m sure we looked like chickens with their heads cut off. Now that I think about it, that analogy is totally un-vegan of me to say. Buuut anyways, once we finally found the lift entrance, we wandered in and just as we were about to step into a gondola a very nice Australian worker told us to go get passes. Oops. 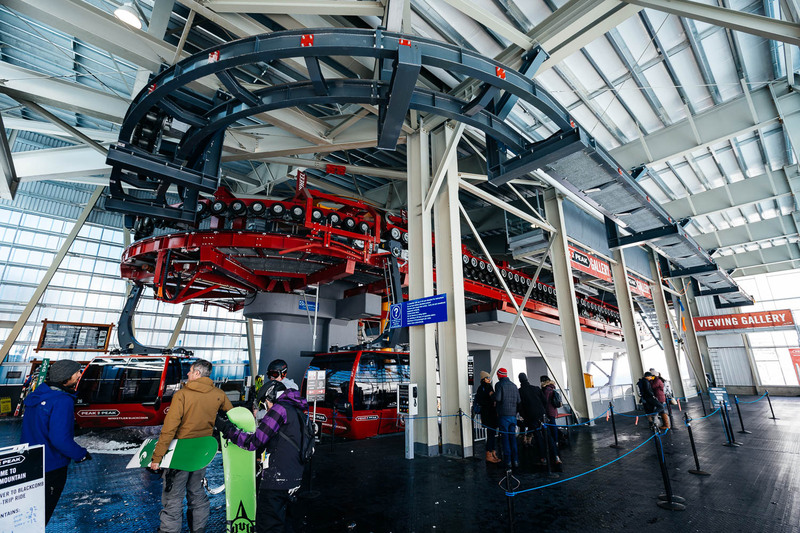 SO first rule when riding the Peak To Peak gondola…make sure you buy yourself a ticket, lol… duh! For a ticket, you’re looking at $51 per person and trust me it is well worth the price! if you arrive to this spot and have not yet bought a ticket, you’ve gone to far! 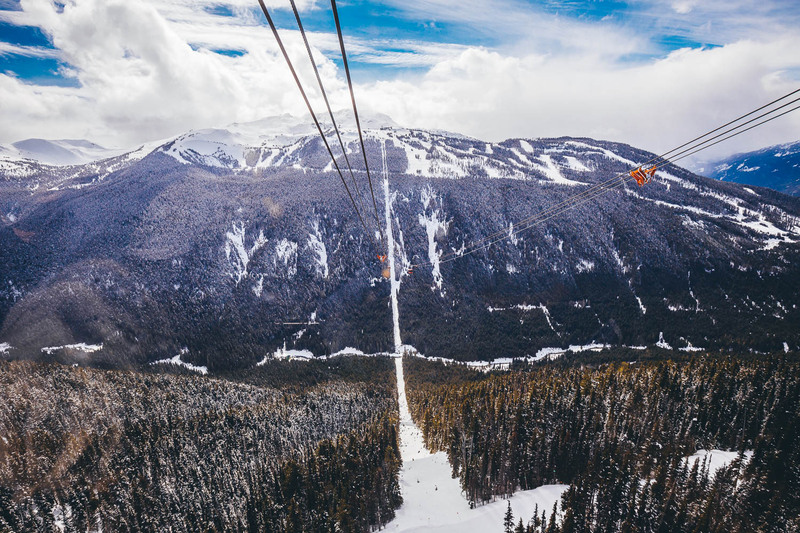 The photo above is gondola numero uno, which takes you from Whistler village to the top of the mountain, which is where the Peak to Peak gondola starts. Being from Kelowna BC, I’ve only ever been to Big White, so we were certainly in for a surprise when this lift just kept going, and going, and going… and then going some more. Finally we made it to the end of this first ride. Oh wait, no we didn’t… there’s a stop halfway up the mountain! So after about 15 minutes we made it to the top! We got off of our lift and headed through a building which led us to the Peak To Peak gondola! 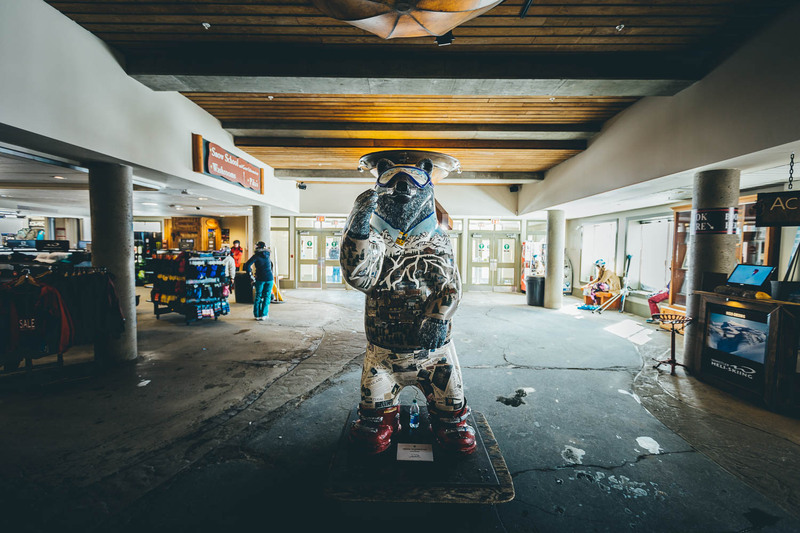 SkiBear is pretty dope and this is a great spot for a photo op! We walked into the loading bays and I was immediately blown away by the incredible size of these gondolas. 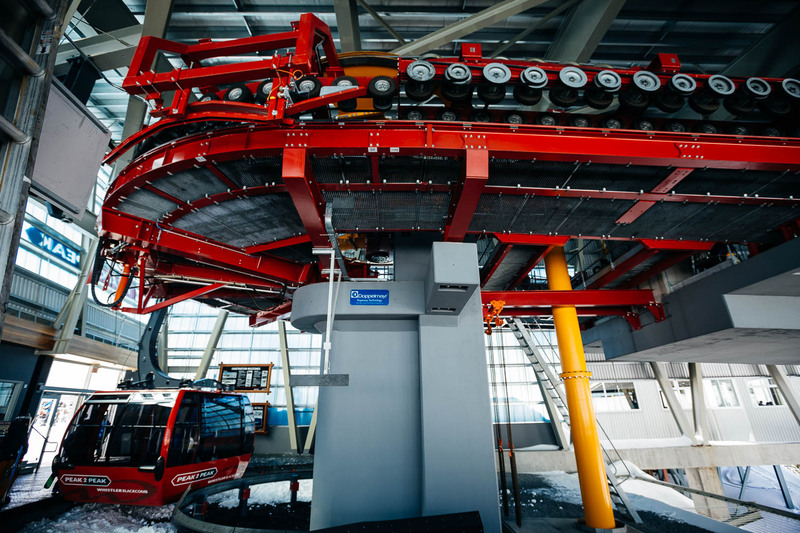 This thing looked like the mechanics behind a full-scale roller coaster! I couldn’t believe my eyes! 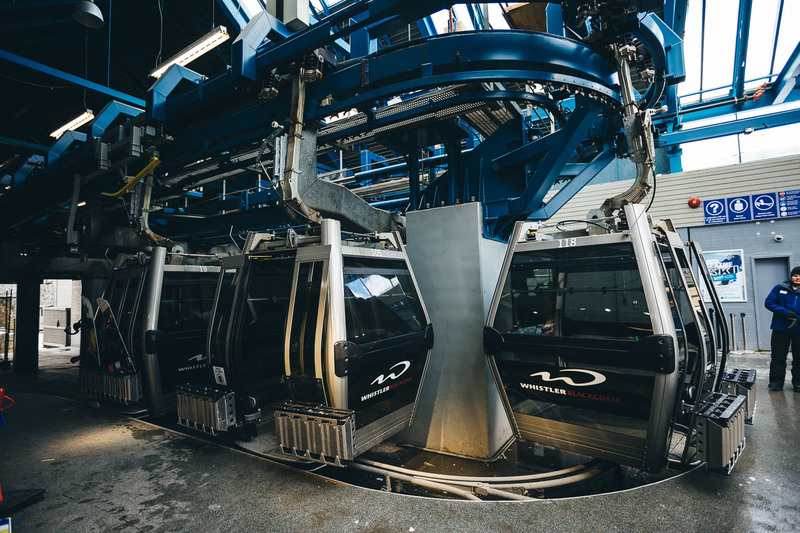 If you want to ride the normal Peak to Peak gondola, the wait isn’t very long at all. However, the wait for one of the gondolas with a glass floor took 20 minutes or so, but we wanted the full experience so it was a no-brainer! Amy also has a fear of heights so of course we waited a glass floor (muahaha)! It was pretty darn cool, but the glass floor was… um, not exactly what I was excepting, I was anticipating glass from edge to edge, but apparently that’s not very safe. Pfft, safety. 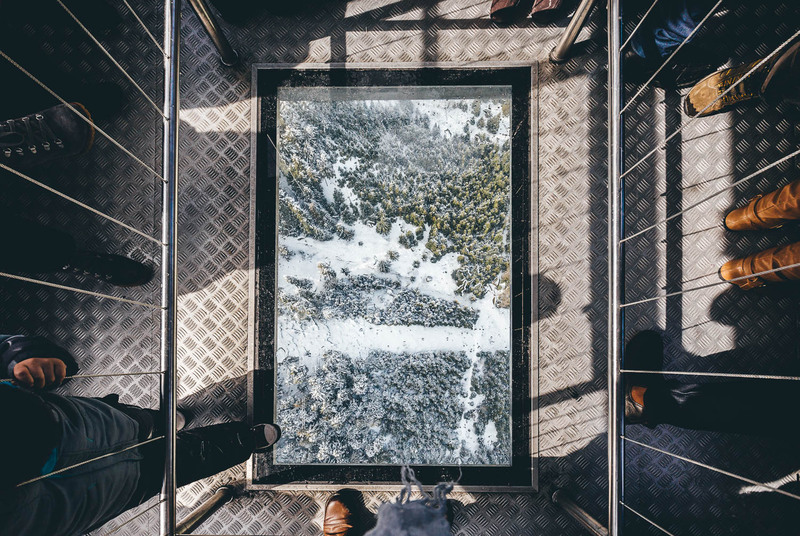 Even though it was just a square of glass in the middle with a railing, we were still able to see some pretty cool views looking straight down! All ‘n all the ride from Whistler mountain to Blackcomb mountain took 11 minutes, and every second was filled with breathtaking views. If you follow me on Snapchat, you would have seen the whole ride (my handle is @fresh_finish by the way… shameless self-plug). 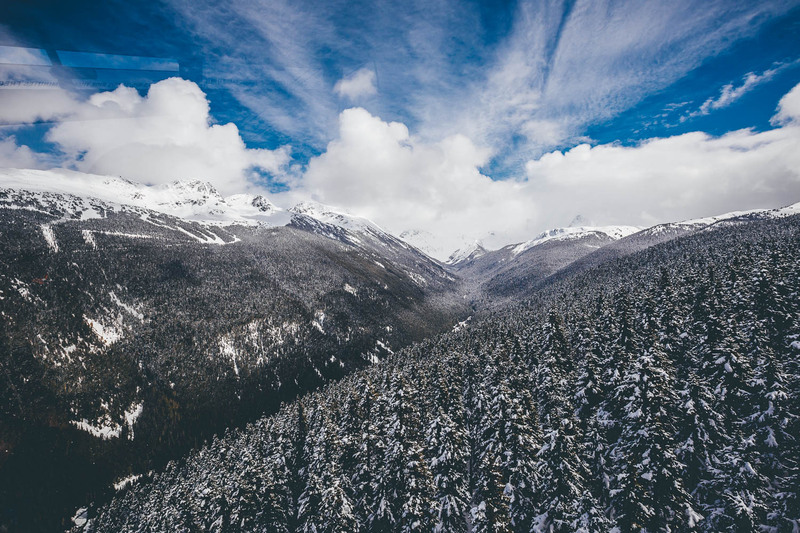 The views were so stunning that anyone afraid of heights may just forget that for a second or two and simply get lost in looking at the world from above. This photo really gives you a sense of how high we actually were. After our ride over to Blackcomb, I stepped out of the gondola and immediately felt like I was on top of the world! Not only could you see for miles in every direction, but I was face-to-face with some of the largest peaks I have ever seen! especially during winter seasons (we both forgot ours). Rookie move! 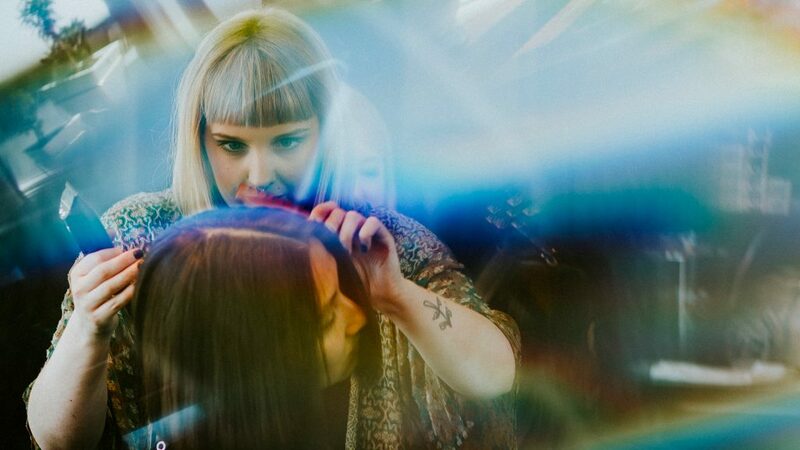 and the photos are pretty damn cool if I do say so myself! After our time taking in the sights at Blackcomb, we headed back to the gondola for our decent to the village. 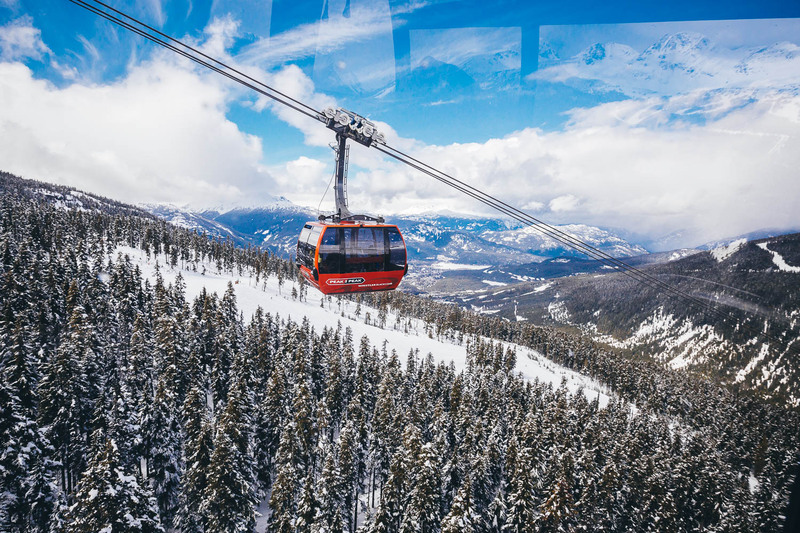 This entire experience was certainly something I will never forget, and this gondola is something that I encourage everyone to mark down on your bucket list! You’re not going to find a ride like this literally anywhere else in the world! 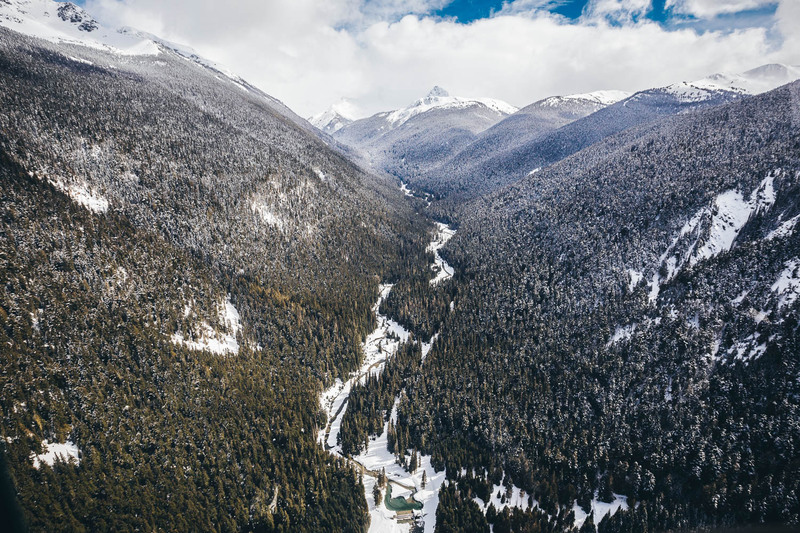 And THAT, ladies and gentleman, is Whistler’s famous Peak To Peak gondola! I’d love to hear what you thought in the comments section below! 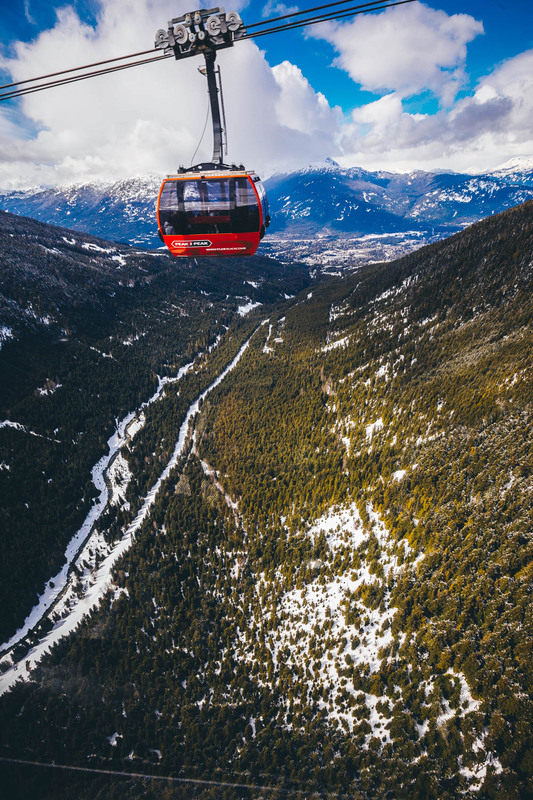 Who’s been to this gondola and who added it to their bucket list? !